With the recent period of cold weather that visited our area, many people opted to use an electric space heater to take the edge off the chilly air. While they are an easy and convenient way to warm a small area, electric space heaters are potentially very dangerous if they are not used properly. To keep your family and loved ones safe, follow these electric space heater safety tips and guidelines. The first and most important guideline is to read all instruction manuals for your electric space heater before putting it to work. While most models perform the same basic functions, there can be significant differences in the exact features, controls and safety requirements among models and manufacturers. Before plugging in your electric space heater, be sure to read the instructions and familiarize yourself with all warnings and requirements. Even if you have used the same heater for years, take a moment to go over the manual to make sure you are using it properly. Take a close look at all components of your electric space heater before use. For example, check the cabinet and controls for any damage or loose parts. Look over the unit for any melted or heat-damaged areas, as these can be a signal that your heater is not operating properly. Pay special attention to the cord and plug before turning on your heater. If the cord is kinked, frayed or otherwise damaged, don’t use it! These defects can cause the cord to overheat or short out. If you do see any damage, do not attempt to fix the problem yourself. Most electric space heaters are not intended to be serviced or repaired by the user. Instead, contact the manufacturer for service information in your area or replace the heater with a new unit. 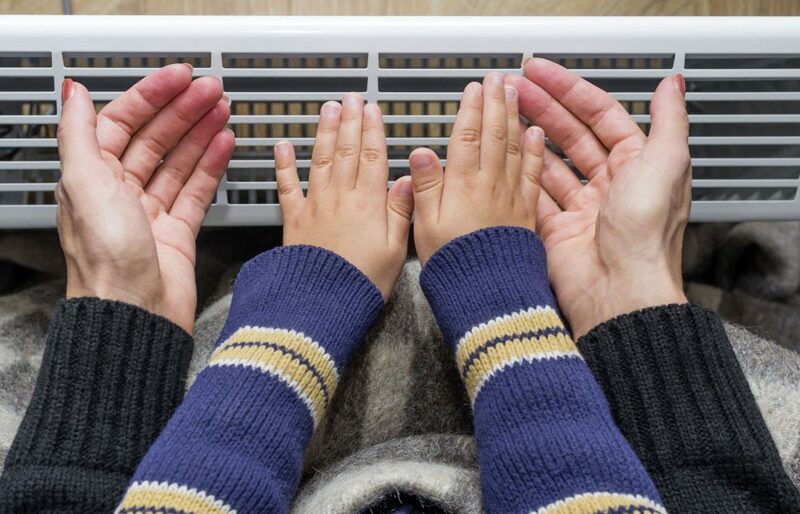 After you have inspected the heater, be sure you are connecting it to your home’s electricity properly. Because they use a significant amount of power to produce heat, electric space heaters should be plugged directly into a wall outlet. Don’t use extension cords or power strips, and don’t plug other devices into the same outlet as your heater. Like most electronic appliances, avoid plugging in or using a space heater near water. Never plug in your heater in a bathroom, kitchen or other wet location. If your hands are wet, dry them thoroughly before plugging or unplugging your heater. As always, water and electricity are a dangerous mix! Knowing where to place your electric space heater is critical for safe and effective operation. Always set your space heater directly on the floor, do not use furniture or other objects to elevate the heater. Place the heater so the unit and cord are safely out of the way of foot traffic. Be sure the heater is in a safe location with plenty of open space surrounding the unit on all sides. Follow the manufacturer’s instructions for minimum clearances around the heater. Avoid placing flammable materials such as area rugs, clothing, draperies, books or papers near your electric space heater. Never Leave a Space Heater Unattended! Even if you are only leaving the room for a moment, be sure to turn off your electric space heater. Get in the habit of turning the unit off whenever it will be out of your sight. Likewise, never leave an electric space heater on around unsupervised children or anyone who is not familiar with its proper use. Never attempt to defeat the grounding feature on any electrical appliance. If you need to have the outlets or wiring updated in your home, give us a call! The home wiring experts at Henderson Electric of NWF will discuss your options and offer advice on the best course of action.